With The Cat's Meow Awards you not only get to see all of the cute cuddly cat moments, but you can also submit your irresistible cat moment and get free Meow Mix Irresistible Cat treats. Watch the Best Kitty Hijinks nominees below, then head to irresistiblemoments.com/ to submit your own cat moment and get your free cat treat while supplies last. I know that I need to eat more veggies. I know it. I know all the health benefits of eating the greens, I know that it will help me lose weight, have more energy, be healthier, blah blah blah. I know all this stuff, but knowing that just doesn't make them taste any better. Now, I'm not going to stereotype that it's all veggies, because it's not; there are some veggies that are good, it's just not those leafy green ones that I'm supposed to be eating more of, and it's certainly not kale! I tried kale chips, and kale smoothies, but I just couldn't get past the bitter taste. I really think there's some marketing genius out there that has convinced the world that they are supposed to like kale, so they think they do, but it is not good. So, what's a girl with anti-kale taste buds to do to get all the veggie nutrients I need? Thankfully, Garden of Life has given me an answer, a sweet sweet answer! 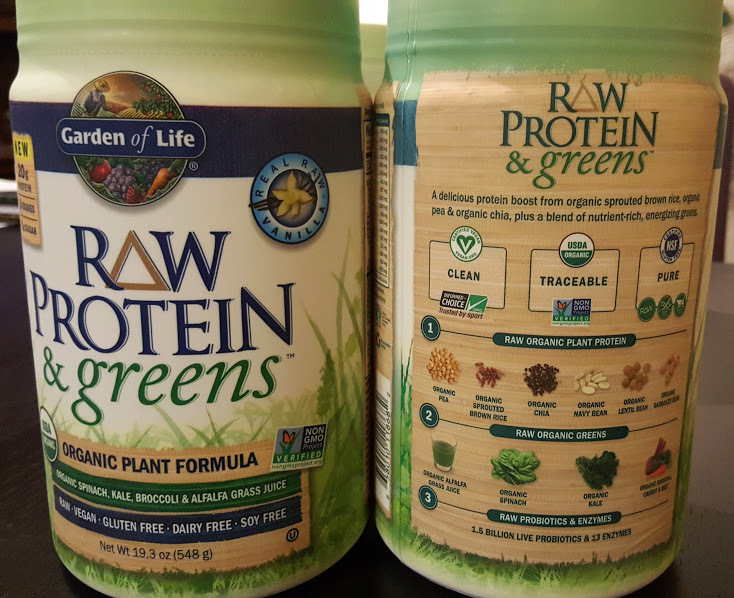 Garden of Life makes a variety of really good healthy products, but this one is my favorite because it solves my problem and it tastes awesome! That's right, you heard me...RAW Protein and greens tastes awesome! Now, you know it's hard enough to find a protein powder that tastes good, but now you've thrown in greens too...I thought for sure it would be bitter and pasty, and gross. But RAW Proteins and greens is actually really really good, and it can be used in so many ways. 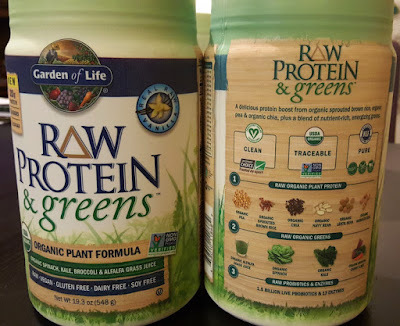 RAW Protein and greens comes in 3 flavors, Chocolate, Vanilla, and Lightly Sweetened. They are all good. Hubby likes the chocolate with almond milk and peppermint. The Lightly Sweetened is perfect for baking. 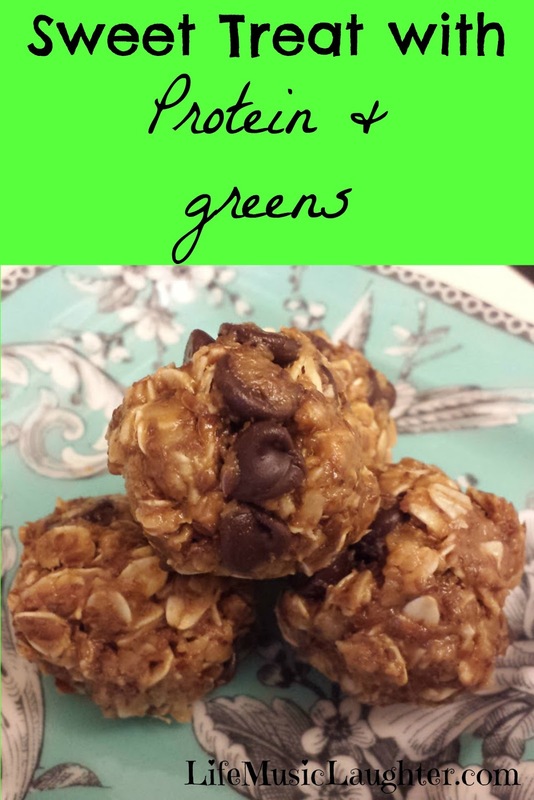 Just add a scoop or 2 to your favorite muffin or bread recipe, and you've added some protein and veggies to your sweet dessert. My favorite is the Vanilla. I love it blended with raspberries, bananas, and almond milk or throw it in to the blender with some ice, almond milk, and coffee for a great start to your day. It's super yum! 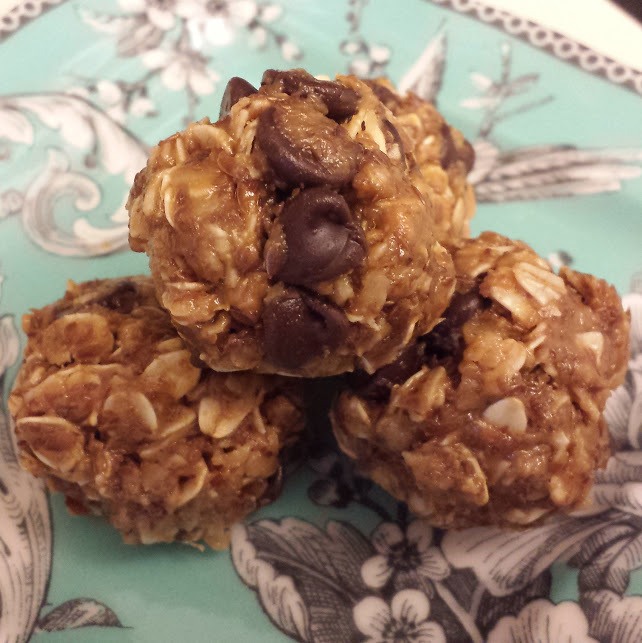 In a large bowl, mix the following ingredients, then form into small balls, chill and serve anytime you need a sweet energy treat. I'm not an expert on nutritional requirements, so for all the information on how this product is gluten free, organic, vegan, and just plain healthy, head to gardenoflife.com Plus, they have tons of healthy recipe ideas and other great products! This product was provided to me for the purposes of this review. I was not compensated, but by posting, I am entered to win a prize. All opinions expressed are my own. This site does use affiliate links. Music Monday, Deadpool, White Rabbit, and Duckie. It's Monday and that means music. This week, I want to talk about music in movies. I love a good movie, and I especially love a good movie with a great soundtrack. In fact the music of a movie is often one of the first things I notice. Music can set the tone for the movie, will it be serious, fun, sad; just like our week, we can set the tone by kicking it off with some fun music. First up, a fun song highlighted in Deadpool, which is a super fun movie. If you haven't seen it, go, it's worth it, but seriously leave the kids at home...but, um get someone to watch them, geesh, don't be that kind of parent! :) This is Shoop by Salt-N-Pepa. One of my favorite Disney Characters is the White Rabbit. I love the Jefferson Airplane song White Rabbit. 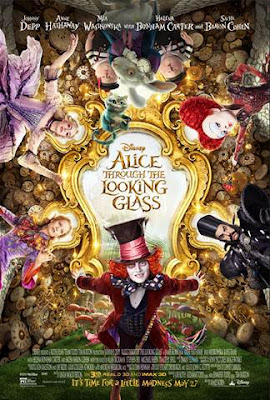 P!nk is an awesome performer, so I'm happy to see it all come together in the upcoming movie Alice Through the Looking Glass. P!nk has recorded White Rabbit, and I'm excited to say that she'll be heading into the studio to record an original song for the movie. This leads me to another good song from a great movie. Pretty In Pink is 30 years old this year. Can you believe it? Wow! If you Leave was written for the movie when the studio decided to change the ending that originally had Andie living happily ever after with Duckie! So glad they changed that one! 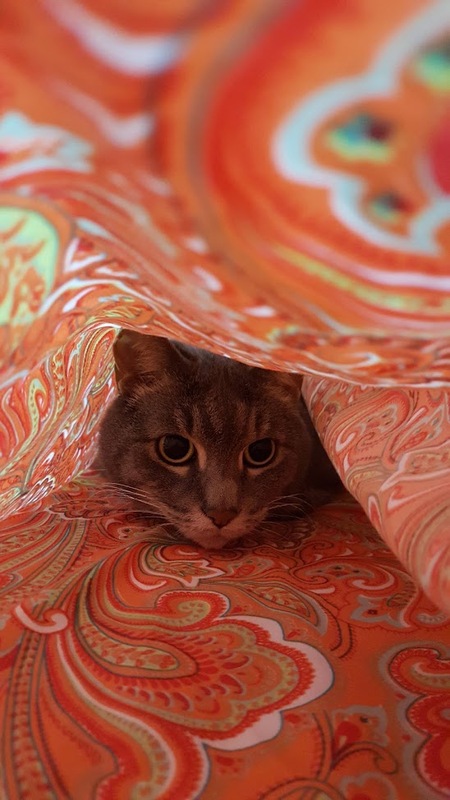 Wordless Wednesday, Cat Helps Make the Bed. My cat loves to "help" make the bed. It makes putting sheets on take a little longer, but it sure is fun to watch her go crazy. Do your pets like to "help" around the house? It's President's Day, and it's Music Monday! Music Monday is like Valentine's Day for music, only no one is left feeling excluded because we love all kinds of music. How perfect is it that the Grammy Awards are on tonight, on Music Monday? So perfect in fact that it is our topic of the week. The Grammy Awards always have great performances. Some of the performances we'll see tonight will be Lady Gaga with a tribute to David Bowie, and a tribute to Glen Frey by the remaining Eagles members. Also, tonight, We'll see Gwen Stefani create a video LIVE for her new song "Make Me Like You" which will be on her upcoming album. This will be part of Target's #MoreMusic campaign. I adore the Alabama Shakes, and I'm happy to see their album, "Sound and Color" is up for Album of the Year. I'd love to see them take this award home. Adele is back and with a start to finish fabulous album. "25" was not eligible for nomination this year, but I know she'll give us a great performance! Hollywood Vampires is Alice Cooper, Johnny Depp, and Joe Perry. They will be doing their first televised performance, and this I have to see! Along with Alabama Shakes, I'm also hoping to see awards go to, Ed Sheeran, Meghan Trainor, Maroon 5, Wiz Khalifa, and Elle King. Do you watch the Grammy Awards?